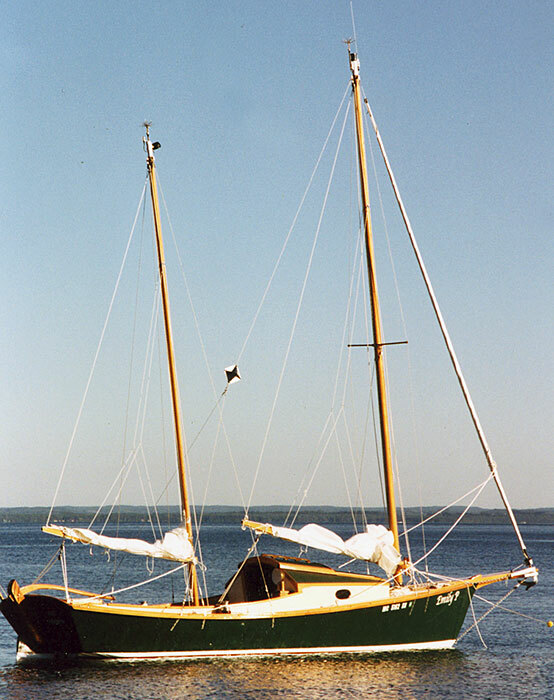 Taking just three years to complete this Karl Stambaugh designed centerboard ketch, Mort Hyslop launched the EMILY P on July 15, 2002 in Northern Lake Michigan. 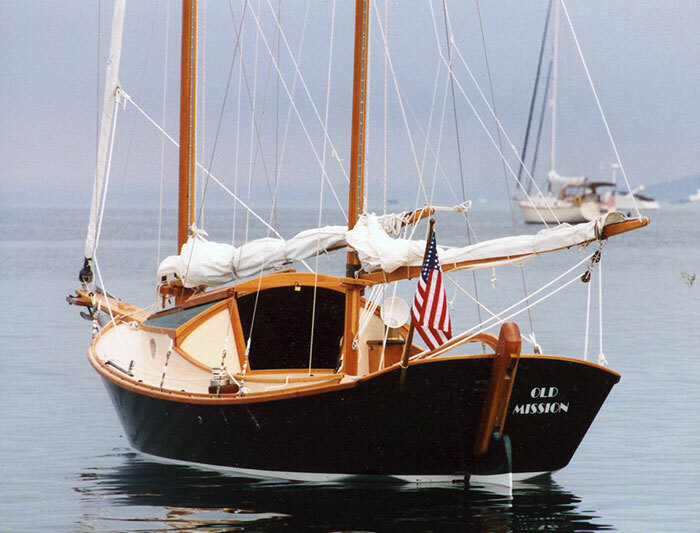 He used marine fir plywood for the hull, built over Douglas fir frames and covered with cloth and epoxy. 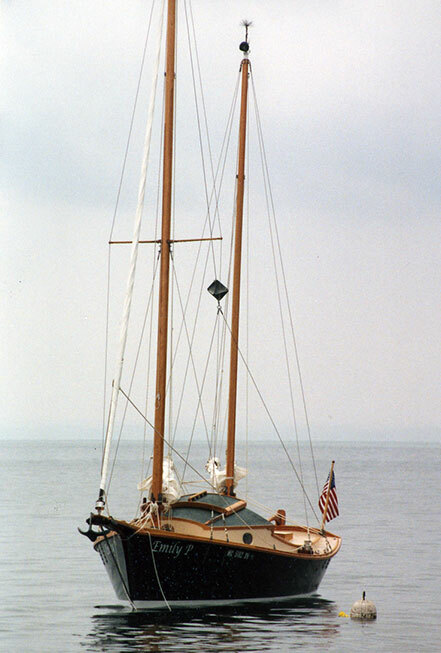 EMILY P is 27 long overall, 24 feet on deck, and has a beam of 7' 9". Write Mort at 2296 25th street, Hopkins, MI 49328.